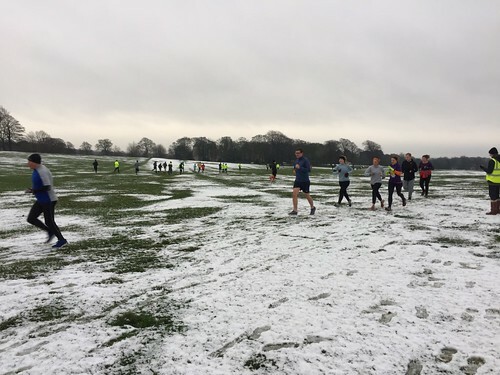 As temperatures dropped our main course was a little too icy but that didn't stop event 405 going ahead on the winter course! 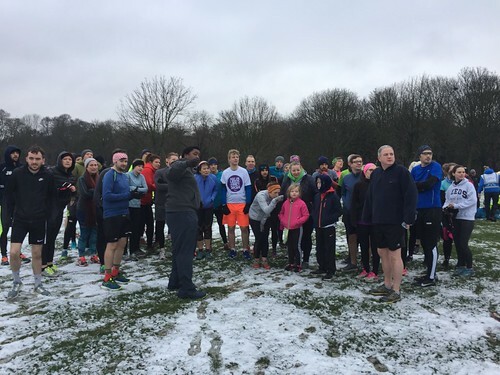 It's the first visit of the year and 222 enthusiastic parkrunners took part. 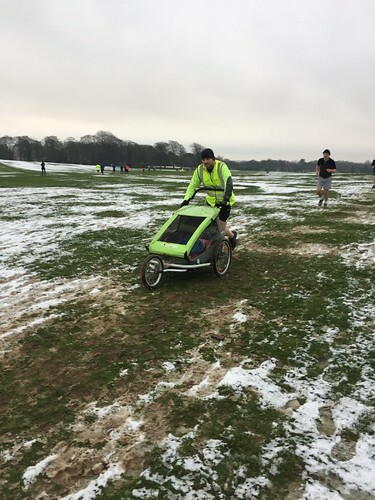 Today there were 20 fantastic volunteers, including Craig pacing with a double buggy! We are lucky we have a winter course and it's likely as we go through the next few months we will probably be back on it at some point. A route inspection takes place at 8am on a Saturday and we will post any updates on our facebook and twitter pages. It's worth following and checking on those icy days. Thanks to Andy our Run Director today, he did a great job on his first time run directing. Fingers crossed it's a little warmer next weekend! This entry was posted in Uncategorized by roundhayoffice. Bookmark the permalink.